After Dead Island was delayed time and again, OnLive has finally released the game to the marketplace as a PlayPass title. Dead Island is priced at $29.99 in the US ($20.99 PlayPack) and £19.99 in the UK (£13.99 PlayPack). Not only has OnLive released Dead Island, but along with the release of the game they have also released two DLCs, which are Dead Island: Bloodbath Arena and Dead Island: Ryder White. OnLive might have took a long time to release the game, but it looks like it was worth it. Many OnLive gamers say that this is the best looking game on the OnLive service so far, it's looking even better than on consoles, and it's also running very smooth with minimal artifacting. For some gamers it feels like the game is running locally and not in some distant cloud. Dead Island is a non-linear FPP (First Person Perspective) action RPG survival horror title published by Deep Silver and developed by Techland. You are drawn into the world of Dead Island on the brink of a mysterious epidemic that suddenly, and without warning, breaks out on the fictional island of Banoi, located off the coast of Papua New Guinea. As a guest of the Royal Palms Resort, your stay was supposed to be a dream holiday; a luxurious getaway to the beautiful beaches of a tropical paradise. But faced with the reality of a zombie apocalypse, there is only one thing left to do: Survive. Fight for your survival either as rapper Sam B., hotel desk clerk Xian Mei, former football star Logan, and bodyguard Purna. Of course it can also be very fun to play 4 player drop-in-drop-out co-op multiplayer with your friends or strangers, where they guide the other three characters. Enter into the dark world of a devastated tropical paradise now plunged into chaos. It's a place where the word "dead" has an entirely new meaning. Face the nightmare and fight for survival. Explore the secrets hidden in the darkest regions of the island and fight your way through. Survival is your main goal! The ultra-realistic combat system will ensure that every confrontation is a thrilling experience. Use anything you find in your surroundings as a weapon. Make decisions that influence the entire world around you. Take advantage of opponent behavior and game physics. 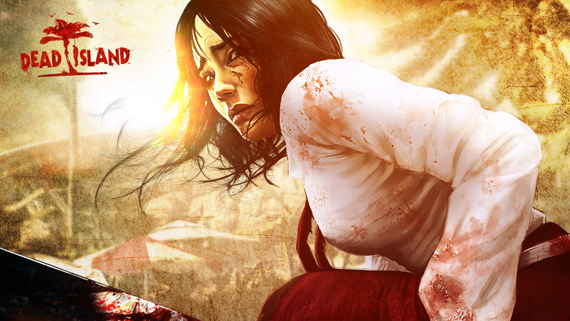 Dead Island is a mix of intense action and chilling horror environments in an engaging, strikingly realistic story. - Set on an open world tropical island. - RPG elements for character development. - Hordes of gruesome zombies. You can play the free demo and buy Dead Island for the US powered by OnLive. You can play the free demo and buy Dead Island for the UK powered by OnLive. Dead Island: Bloodbath Arena is priced at $9.99 in the US ($6.99 PlayPack) and £7.99 in the UK (£5.59 PlayPack). In the Bloodbath Arena DLC four different arenas offer new challenges that can be played alone or in co-op mode. It's a desperate fight for survival where waves after waves of unrelenting zombies attack, one more gruesome than the next! In this DLC, characters can loot experience points and items and bring them over to the campaign mode. Players can also show off their skills in zombie fighting with the newly implemented leaderboards. - 4 Arenas, deadly and hazardous. - Endless waves of zombies. - Single or co-op multiplayer. - Loot XP and items and bring them over into your campaign. - Leaderboards to challenge your friends. Dead Island: Ryder White is priced at $9.99 in the US ($6.99 PlayPack) and £7.99 in the UK (£5.59 PlayPack). The new mission-based DLC pack follows the story and perspective of the main game's antagonist character and allows players to experience the events on Banoi through his eyes. Players will take on the role of Ryder White as a playable character in a single player campaign with several hours of gameplay as well as brand new weapon blueprints.